As candidates hit the homestretch, fill-ins matter, organizers say. Hillary Clinton seems to have a strategy for trying to chip away at Bernie Sanders’s lead in New Hampshire: Campaign every day, even when you’re out of the state. Clinton sent a battalion of high-profile supporters to the Granite State this week, including her husband, former President Bill Clinton. Minnesota Sen. Al Franken arrived today, while television star Lena Dunham and U.S. soccer legend Abby Wambach will criss-cross the state Friday. Despite winning New Hampshire eight years ago, Clinton has struggled against the popular senator from neighboring Vermont. Recent polls have varied; some show the two Democrats in a dead-heat, while another gives Sanders a 10-point lead. 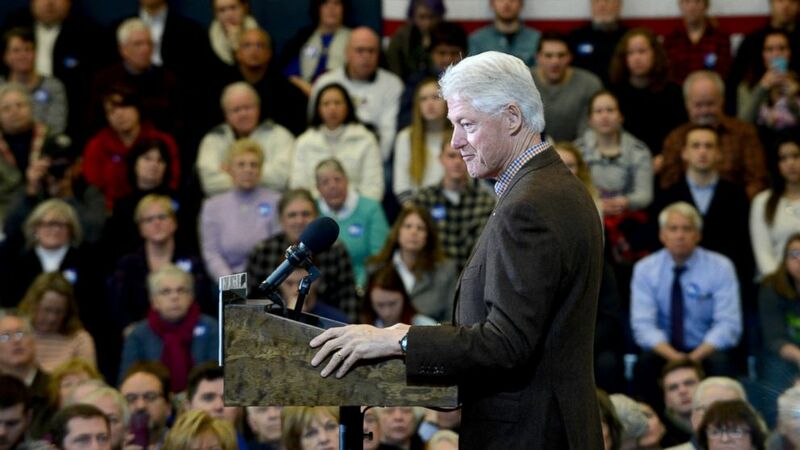 (Darren McCollester/Getty Images) Bill Clinton campaigns for his wife, Democratic president candidate Hillary Clinton, at Nashua Community College, Jan. 4, 2016, in Nashua, New Hampshire. Sanders, though, has not been able to match the mega-wattage of Clinton’s visitors. His most high-profile supporter in the state to date may be Ben Cohen, co-founder of Ben & Jerry’s ice cream, or Jesus “Chuy” Garcia, a popular progressive politician from Chicago, not exactly the same as having a former president on your side. Less than five weeks until the primary, University of New Hampshire political science professor Dante Scala says winning “the surrogate game” matters. 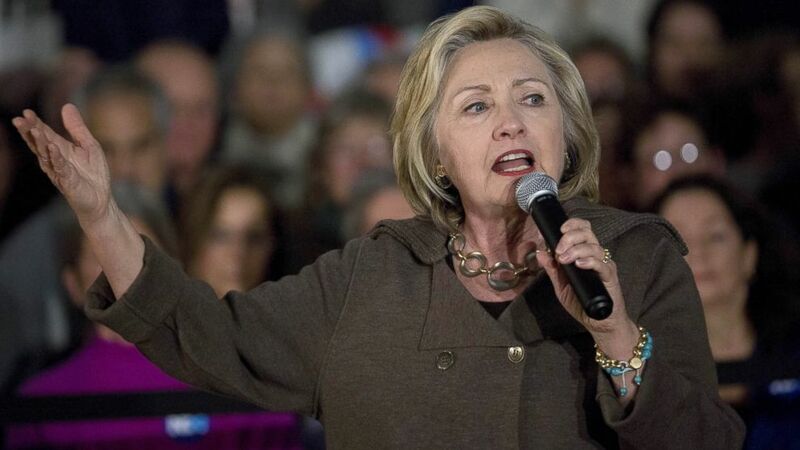 (Andrew Harrer/Bloomberg/Getty Images) Hillary Clinton speaks during a town hall meeting at Keene High School in Keene, New Hampshire, Jan. 3, 2016. Surrogates are often asked to do the heavy lifting with particular constituencies and demographics. While few people have heard of state Sen.r Jeff Woodburn outside of northern New Hampshire, his support means Clinton, who's campaigning in Los Angeles today, has an active campaign in remote northern communities, where snow and ice routinely deter candidate visits. Candidates’ families are also being asked to pitch in. Heidi Cruz landed in New Hampshire Wednesday to stump on behalf of her husband, Ted Cruz. The Texas senator hasn’t visited the state for weeks, but Cruz supporter Diane Bitter says a surrogate visit can give grassroots supporters a much-needed jolt of enthusiasm in the cold winter months. But others, including the Sanders campaign, are downplaying the significance of substitute campaigners.